The FASTBACK® II will edge, polish and chamfer backsplash as well as countertops in one single pass. Get exceptional, quality edges at a rate up to 150 lineal feet per hour, and track your machine’s metrics and success with the OPS Productivity feature, new for the FASTBACK® II. 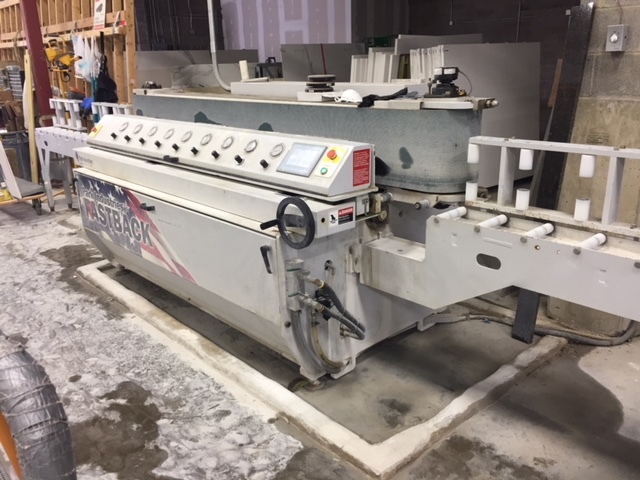 This proven workhorse of the stone countertop fabrication industry has been revamped to give you an even higher level of productivity. Park Industries® exclusive Spindle Stagger on the FASTBACK® II Edge Polisher feature allows the operator to adjust the point at which the tool engages and disengages with the leading and trailing ends of the material. This ensures consistent and total polish end-to-end, essential for tightly nested slab layouts. The FASTBACK® II Edge Polisher’s unique oscillating bridge design ensures higher overall polish quality. It utilizes the optimal amount of oscillation necessary to provide excellent polish quality with the least amount of gap possible. This provides a better “end to end” match up with material processed on a CNC router. The FASTBACK® II Edge Polisher’s exclusive Polish Offset Pro feature allows you to offset the point at which the spindles engage and/or disengage with the material. 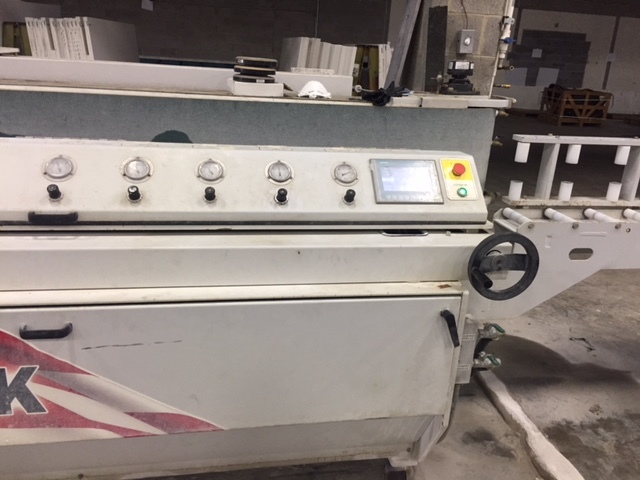 This allows the operator to run Euro Seam pieces through the machine. OPS Productivity (option) monitors lineal footage produced by the FASTBACK® II, as well as total machine run time. The OPS Productivity information can be tracked per job providing real-time insight to your shops workflow. The FASTBACK® II utilizes a wireless bar code scanner to eliminate potential operator error. A variety of components on the FASTBACK® II, including the conveyor drums and spindles, are impregnated with Park’s exclusive Armor Shield Protection. The Armor Shield Protection is a process that protects critical machine parts by enhancing corrosion and wear resistance. This unique process produces an aesthetic black finish that impregnates the material for strength and durability. The treatment actually changes the composition of the material on the outer surface of the part.